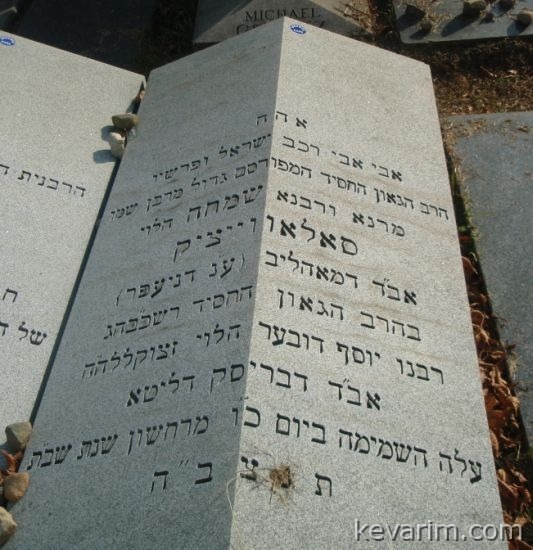 Rav Simcha was the youngest son of the Beis Halevi. How come he doesn?t appear in any of the Brisker books? he does. Harishon Lashosheles is full. by the way reb yitzchok soloveitchik from yerushalayim is his grandson. I heard that during WWI, his brother Reb Chaim gave him his kisavim to hold onto for safe keeping. He later left for the US and took them with him. These Kesavim are now in the possession of his grandchildren in Israel. They were notes on Talmud and Zohar. I know that the grandchildren have notes from the Beis Halevi, some were printed recently in “Kol Brisk”, I never heard about notes from Reb Chaim. The family doesnt’t want to publish them, but I heard from one of the magedei shuir in the mir that he was able to get photocopies of R. Chaim’s on Baba Kama. Reb Simcha was first Rav in the Brisker Shul on Allen St. and then moved to (?) where the comunity baught him a nice appartment and made other accomodations for the son of the Beis Halevi. I learn the above from a speech that Reb Mier Freiman delivered in honor of the acceptance of the new psotion and printed it in his sefer Nachlas Mier, Rabbi Freiman was a Talmud of the Bies Halevi. Unfurtunatley, he does not mention the place where Reb Simcha went to. AJC Yearbook “SOLOVEITCHIK, SIMCHAH, rabbi, nationally famous Talmudic scholar; b.
I recall seeing in the NYTimes, that Rav Simcha gave the הספד for the חפץ חיים at the Clymer St Shul (which no longer exists, they barely had a minyan in the 1990s) in 1933. In 2018, a 900+ page (שמחה לארצך) volume of his writingד was published- mostly photocopies of manuscripts. He was Rav Chaim’s half-brother. It was Rav Chaim who founded the Brisker method in learning; did Rav Simcha also use the Brisker derech?